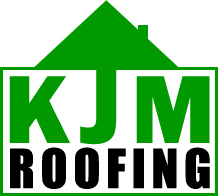 KJM Roofing - Fascia/Soffits/Guttering, Roofer, Windows/Doors/Conservatories based in Bournemouth, Dorset. Let me introduce myself, my name is Marc Bonney and I have 31 years of roofing experience starting with my dad passing on his knowledge to me as I worked alongside him to the point that I was able to complete roofing work to a high standard of my own accord. I specialize in PVC single ply and torch on felt flat roofing. I am also able to do flat roofing associated works such as install insulation in accordance with current Part L regulations, PVC fascia and guttering, tiling, slating etc. I will install your chosen flat roof system with professionalism and according to the manufacturers recommendations. I can provide flat roof systems that offer an insurance backed warranty from 10-20 years. I aim for your satisfaction first time, and work hard to provide a roof solution that works. I would be grateful if you could take a moment to look at my feedback so that you can satisfy yourself that you are going to choose a tradesman that is honest, reliable, friendly, and really cares that you are getting the right job done. I look forward to your valued call.